GM is issuing the advisory to all 2017 Bolt owners to get the software update installed. General Motors is asking owners of 2017 Chevrolet Bolt EVs in Canada and the United States to take the vehicles to dealerships for a software update that could prevent a reduction or loss of acceleration. The "customer satisfaction campaign" stems from a calibration that fails to detect the difference in the state of charge among cell groups in the battery. Because of the problem, according to a notice to to U.S. customers obtained by Automotive News, the vehicle may not receive "sufficient warning prior to a battery cell low-voltage condition, which may result in a loss of propulsion." A GM spokeswoman in the United States said a "small percentage of vehicles may experience" the loss of power, but the company is issuing the advisory to all 2017 Bolt owners to get the software update installed. 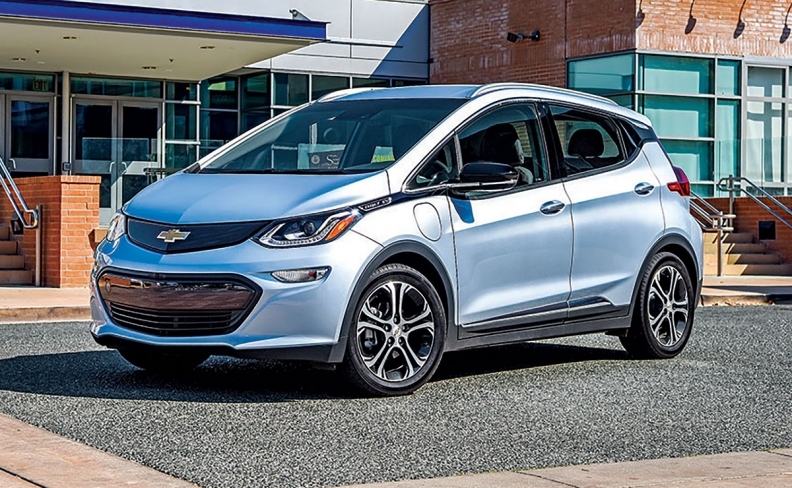 “This field action applies to Canadian Bolt customers, as well,” GM Canada spokesman Mathew Palmer said in an email to Automotive News Canada. Installation of the new calibration software is expected to take less than an hour. It will give customers more time to safely pull over. The repair will be done free until April 30, 2020. After that, any applicable warranty will apply. For OnStar customers, GM is monitoring their vehicles. If their battery shows signs of the problem, the company is contacting the owners to arrange for service and replace their battery pack for free. GM recommends that customers take their vehicles in for service as soon as possible. "Customer satisfaction campaigns address concerns that don't constitute an unreasonable safety risk, as defined by NHTSA," the U.S. spokeswoman wrote in an email. "This doesn't, however, mean it's not serious or that customers can ignore it."